W. Richard West Jr., a citizen of the Cheyenne and Arapaho Nation of Oklahoma and a Peace Chief of the Southern Cheyenne, retired at the end of 2007 from the position of Founding Director of the Smithsonian’s National Museum of the American Indian. West has devoted his professional life and much of his personal life to working with American Indians on cultural, educational, legal, and governmental issues. West is now the President and Chief Executive Officer of the Autry National Center of the American West. He’s responsible for all operations at the Autry from collection development and financial sustainability to institutional growth and visitor experience. He oversees a team of 160 professionals as well as 300 volunteers, all dedicated to the Autry’s core mission. As director of the National Museum of the American Indian from 1990 through 2007, West was responsible for guiding the successful opening of the three facilities that comprise the National Museum of the American Indian. He supervised the overall planning of the museum’s Cultural Resources Center and oversaw the creation and completion of the George Gustav Heye Center, a museum exhibition facility that opened in New York City on October 30, 1994. West’s philosophy and vision for the museum were critical in guiding the architectural and program planning of the Mall museum, which opened on the National Mall in Washington, D.C. on September 21, 2004. West practiced law at the Indian-owned Albuquerque, New Mexico, law firm of Gover, Stetson, Williams & West, P.C. (1988 – 1990). He also was an associate attorney and then partner in the Washington, D.C., office of Fried, Frank, Harris, Shriver & Jacobson (1973 – 1988). He served as general counsel and special counsel to numerous American Indian tribes, communities, and organizations. In that capacity, he represented clients before federal, state, and tribal courts, various executive departments of the federal government, and the Congress. West’s current board affiliations and memberships include: Kaiser Family Foundation (2007-present); International Coalition of Sites of Conscience (2007-present); Native Arts and Cultures Foundation (2011 – present); Center for Native American Youth (2011 – present); National Support Committee of the Native American Rights Fund (1990-present); and American Indian Resources Institute (1973-present). He previously also has served on the boards of trustees of the Ford Foundation and Stanford University. He served as Chair of the board for the American Association of Museums, the nation’s only national membership organization representing all types of museums and museum professionals, from 1998-2000. 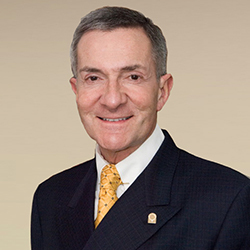 From 1992-1995 and 1997-1998, he served as member-at-large of the association’s board of directors and in 1995-1996 as Vice Chair of the board of directors. West also was a member-at-large (2004 – 2007) and Vice President (2007 – 2010) of the International Council of Museums.